What’s the secret? I’d love to say there’s a magic potion for sleep, taking care of yourself and baby, keeping the connection alive and well with your spouse, but there isn’t. Honestly, something that will help you along your journey is vulnerability. You have to put yourself out there, ask for help, be open to advice, follow your gut, and create your trustworthy village to make it and enjoy it. Even the most confident of people will find themselves in a situation they know nothing about and need to ask for help. It’s humbling and sometimes depressing not to know the answers or feel like you can’t take care of the person you are charged with loving and protecting above all else. My advice? Let go of your insecurities and let people help you along this journey. It’s an amazing one for sure, but one fraught with the highest highs and lowest lows. So, with all this said, I wanted to pass along some of my musings to all of you from Year 1. This is really Part II of the series as Part I can be found on the amazing Homegrown Houston blog by new mom and longtime friend, Sabrina. Yes, this is the same author of the awesome non-maternity maternity fashion post from a few months ago! Okay, I think this is really important to share with all you expectant parents or parents of newborns. I just want you to know that it’s okay if you’re one of those parents who just “isn’t a newborn person.” There’s nothing wrong with you! Sure, there’s so much to love about a newborn. The new baby smell, ultra-soft skin, the perfect little nose and feet…I could go on forever. But, the newborn period is also extremely difficult and taxing, and anyone who tells you different is LYING or a freak of nature. The one-way communication and interaction, the struggles with feeding, the abrupt adjustment to no sleep, the postpartum hormones, your own physical healing, balancing your job, redefining your role as a spouse, and the feeling of knowing your life as you know if has forever changed, is a lot to ponder and adjust to in such a short time. Some parents I know will tell you that they hated the infant stage all together, but love having toddlers (or vice versa). 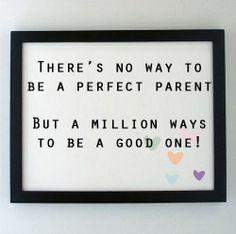 Parenting is such an individualized journey and there will always be periods of your child’s development where you will really enjoy it and other parts that you’ll hope pass quickly. If you love the newborn period, good for you! If you don’t, this too, shall pass. It doesn’t get easier, but it will get better. Like vaccinations, how you feed your child is another hot button issue. Depending on your upbringing, family and friends, your OBGYN, or the hospital classes you take as you prepare for baby, you may develop a strong opinion on how you want to feed your child. Or perhaps you’re keeping an open mind, but you are surrounded by others with strong opinions. There’s no question that, in today’s society, breastfeeding your child has become THE recommended way to feed your baby. After all, breast milk is natural, nutritious, free, and convenient. Slogans like “Breast is best,” research study after research study showing that breast fed babies are smarter, etc. pop up all the time on the internet, and advocacy groups like the La Leche League have some very vocal spokeswomen. But what if I told you that ‘Breast is only best when it’s best for the family!”? Would that shock you? Do you disagree? As a mom who has nursed, pumped and supplemented with formula, I can tell you with absolute certainty that it’s going to be okay as long as you just FEED your child. The truth is, every family is different and things that work well for one may not be the best approach for another. If you choose to breastfeed, I applaud you! If for some reason you can’t or don’t want to, I applaud you for feeding your child with nutritious formula. The fact is, there are many reasons why formula may be the answer for your family (your health/medications you may be taking, milk protein allergies for baby, supply issues, etc.). As my pediatrician says, we are very lucky to live in a time where safe formula is an option. I personally started my pregnancy journey just knowing that I would breastfeed. I took all the classes, had a lactation consultant picked out, refused formula in the NICU and instead opted for donor milk, power pumped, syringe fed, etc. Long story short, breastfeeding turned out to be one of the the most difficult and complicated journeys I’ve ever experienced. We struggled for several months, saw multiple lactation consultants, bought every product on the market, and really gave it 100% effort. It just didn’t work for me and we supplemented with formula. I won’t lie to you. The Type A, prepared person that I was felt like a failure. This beautiful peaceful image I had of myself quietly nursing a contented baby wasn’t at all what my experience was like. 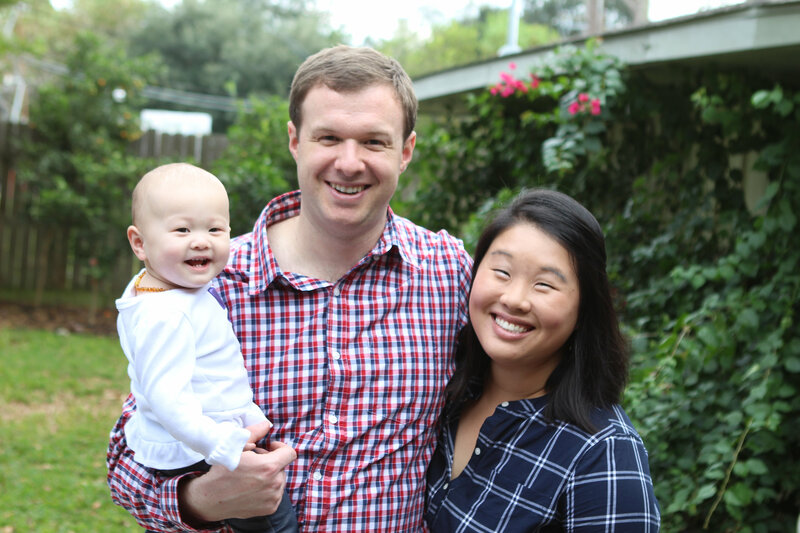 For her first year, I provided my daughter with breast milk AND formula. To this day, I have flashes of guilt and disappointment that my breastfeeding journey did not end up to be what I had imagined. But, to this day, I am so proud of myself and how far we’ve come as a family. Twelve months later, with experience under my belt and a little more sleep and rest, I realize that using formula is not a failure, nor is it going to be a determining factor of my little girl’s success in the world. There are millions of ways to bond, connect, educate, and love your child, and if you think breastfeeding is the only way that happens, then you’re doing it wrong! If breastfeeding is part of your plan, I highly recommend you research and ask around for recommendations of reputable and certified lactation consultants in your area before baby arrives. Not only that, ask your physician and hospital for recommendations of support groups for nursing mothers, hotlines, etc. 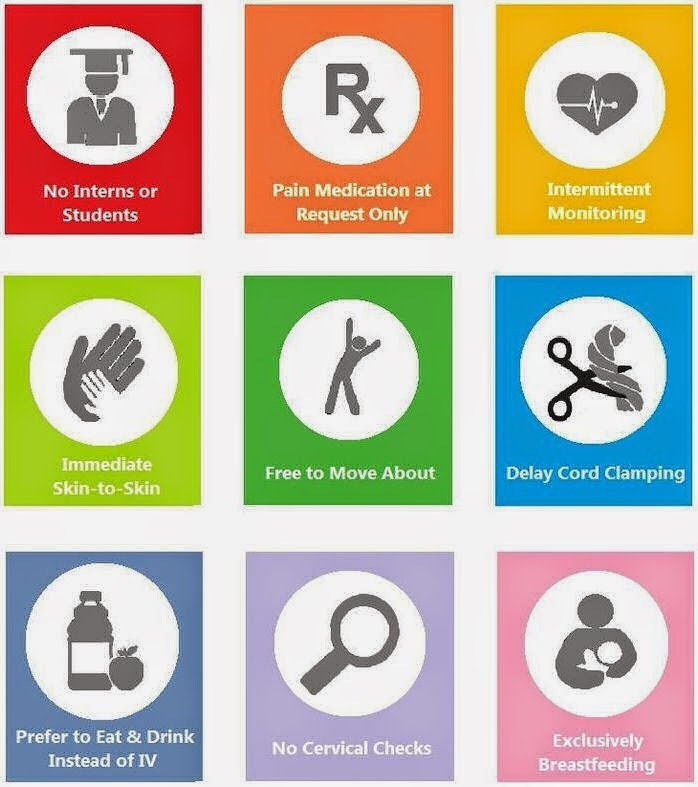 so that you have access to help and care when you need it after you leave the hospital. Many lactation consultants will do in-home consultations which can be crucial in establishing good practices in the beginning. Don’t be afraid to ask questions and speak up. It’s not supposed to hurt! Also, if you have health insurance, remember to order your free breast pump! If formula feeding is part of your plan, you will need to speak up at the hospital. Many hospitals no longer offer formula to new mothers in the mother and baby unit unless it is requested. Don’t stock up on tons of one kind of formula beforehand as you never know what kind or brand you will ultimately settle on in the long run. Your pediatrician’s office will have tons of samples as well. It doesn’t take a rocket scientist to know that having a baby “changes your life.” Everyone you know has told you this the minute you told them you were expecting. It’s true. Simple tasks like going to the grocery store or getting gas suddenly becomes a strategic decision as you plan trips between naps and feedings. You may be Superwoman or Superman, but multitasking will never look the same for you again once you have children (unless you have a fleet of nannies). Do yourself a favor and take care of all of those important maintenance items in your life before baby arrives. I’m not talking about just things for baby (laundry, frozen meal prep, etc.). I’m talking car registration/inspection, tire rotation, getting the house painted, organizing your closet, purging, last pre-baby haircut, etc. Even if you have the energy for it after baby arrives, you may not have the time. If someone offers you help, take it! Car seat safety has come a LONG way since I was a baby and thank goodness for that! Like most things with baby, something that looks relatively easy can actually be quite complicated. Proper car seat installation is extremely important and can be more confusing than you think. It’s always a good idea to get a professional to examine your installation (or install it for you) and walk you through all of the safety features and guidelines. 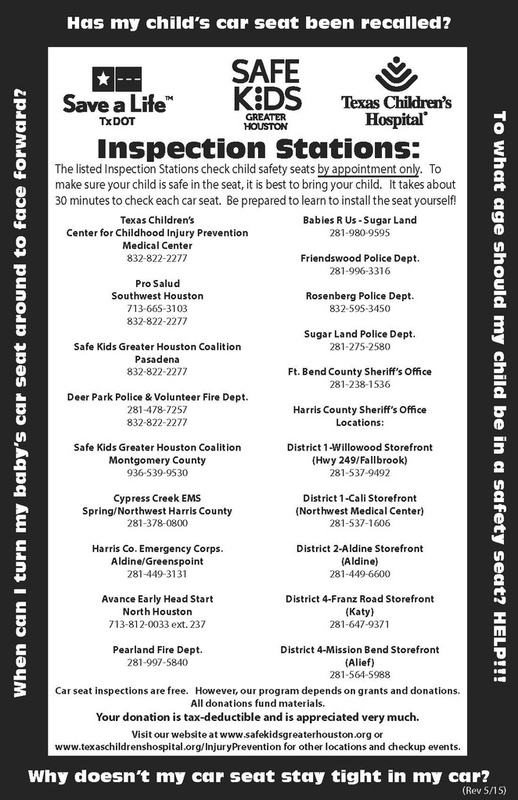 In the Houston area, I highly recommend Safe Kids Greater Houston. If you can’t find one in your area, ask your obgyn’s or pediatrician’s office. It’s always a good idea to sit down and create a birth plan a few weeks before your due date. What is a birth plan? 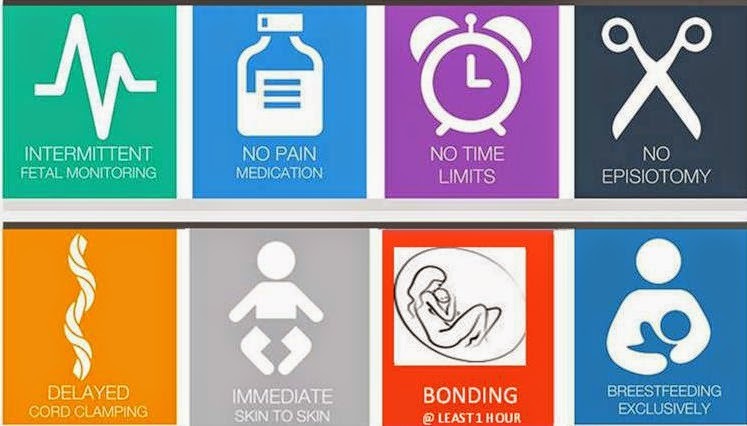 Simply put, it is a document that lets your medical team know your preferences for things like how to manage labor pain during labor and delivery. Whether you’re planning a home birth in the tub or a hospital birth with #allthedrugs, I implore you to be informed and make a birth plan, but to remain flexible! The photos here are just an example of a visual birth plan that is easy, succinct and clear. DO your research on the kinds of interventions that are commonly used in labor and delivery (e.g. pain management) and/or take a birth class to familiarize yourself with what you can expect of your hospital and your medical professionals. DO review your birth plan with your doctor or midwife, ask questions and make sure you are on the same page in regards to your expectations and reality. DON’T have a 10 page birth plan. The reality is, the longer the birth plan, the more “stuff” your care team must review, and in the heat of the moment, less is more. Keep it simple and keep it to one page. This will make it easier on everyone and easier for you and your spouse to advocate for the things that really matter to you. DO remember that “healthy mom and healthy baby” is the name of the game. Understand that things can change in an instant and that you may have to make decisions and choices that aren’t what you hoped for at all. If you have apprehensions, fears, and doubts, make sure you ask your nurses and doctors to explain what is going on and the choices you may have. In most cases, there could be time for them to give you advanced notice of possible changes (e.g. need for c-section). In other cases, you aren’t going to have time to mull it over. Trust your medical professionals. DO choose someone you trust to be your advocate at the hospital. You aren’t going to be in your right mind when you have a baby to push out of your body. You just aren’t. Appoint someone like your mom, spouse, a doula, etc. to be your advocate with nurses, doctors and other medical professionals. They can help advocate for your needs with staff, manage guests and visitors on your behalf, and be the point person who keeps your close family and friends updated on your condition and the baby’s arrival. Sure, you may have been a lifeguard back in high school, or maybe you had CPR training a few weeks ago on the job. Still, it’s always a good idea to refresh yourself and enroll in an Infant CPR class. Similarly, if you have a close family member or friend who will be babysitting or caring for your child in an ongoing capacity, they should also take the course. Brent and I took a great CPR and infant safety class at Texas Children’s Pavilion for Women. The Junior League of Houston also offers free CPR classes. 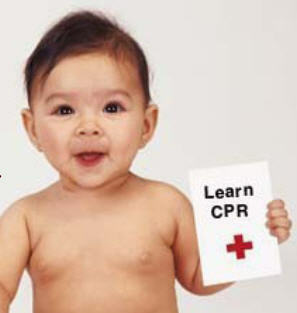 Call ahead to ensure that infant CPR will be covered as the main focus is adult CPR. New and experienced moms or dads: what are your most important lessons learned from the first year? Please share them in the comments section! Have you ever thought about creating an ebook or guest authoring on other websites? I have a blog based on the same subjects you discuss and would really like to have you share some stories/information. I know my subscribers would enjoy your work. If you are even remotely interested, feel free to shoot me an e-mail. Great website. Lots of useful info here. I am sending it to several friends ans also sharing in delicious. And obviously, thanks for your sweat! Keep up the great work, I read few articles on this web site and I think that your weblog is really interesting and contains sets of excellent information. I have been surfing online more than 3 hours as of late, yet I never discovered any interesting article like yours. It’s pretty price sufficient for me. Personally, if all webmasters and bloggers made just right content material as you probably did, the net will likely be a lot more helpful than ever before. “When you are content to be simply yourself and don’t compare or compete, everybody will respect you.” by Lao Tzu. Thanks for every one of your work on this web site. Kim really loves setting aside time for investigations and it’s really easy to see why. Most of us learn all about the powerful method you present useful steps through the web blog and even attract contribution from people on this content and my daughter is without question discovering a whole lot. Enjoy the rest of the new year. You are always carrying out a wonderful job. This site is my breathing in, real excellent pattern and perfect subject material. Outstanding post, you have pointed out some superb points, I likewise conceive this s a very great website. Great ?V I should certainly pronounce, impressed with your site. I had no trouble navigating through all tabs and related info ended up being truly easy to do to access. I recently found what I hoped for before you know it in the least. Reasonably unusual. Is likely to appreciate it for those who add forums or something, site theme . a tones way for your customer to communicate. Excellent task..
You could definitely see your skills within the paintings you write. The world hopes for even more passionate writers such as you who aren’t afraid to say how they believe. All the time follow your heart. I’d need to check with you here. Which isn’t something I often do! I take pleasure in reading a publish that may make individuals think. Also, thanks for allowing me to remark! A lot of thanks for each of your work on this web page. Kate take interest in engaging in investigation and it’s really obvious why. A number of us know all concerning the lively method you produce powerful solutions by means of your blog and therefore improve participation from website visitors on that subject plus our own girl is actually being taught a whole lot. Enjoy the rest of the new year. Your carrying out a very good job. I have to show some appreciation to the writer for bailing me out of this particular crisis. After exploring through the world wide web and obtaining concepts that were not helpful, I was thinking my entire life was over. Living without the presence of approaches to the issues you’ve fixed by way of your main write-up is a serious case, as well as the ones that could have in a negative way affected my entire career if I had not noticed the blog. Your own skills and kindness in touching every item was useful. I don’t know what I would’ve done if I hadn’t encountered such a stuff like this. I’m able to at this time look ahead to my future. Thanks for your time very much for the expert and result oriented help. I won’t be reluctant to recommend the website to anyone who requires recommendations on this topic. I happen to be writing to let you be aware of of the wonderful experience my friend’s girl gained using your blog. She noticed numerous pieces, which included what it is like to have an incredible giving spirit to let men and women with ease master a variety of extremely tough topics. You truly exceeded our desires. Thank you for displaying these beneficial, trusted, revealing and fun tips about that topic to Ethel. I genuinely enjoy looking through on this web site, it contains good articles. “And all the winds go sighing, For sweet things dying.” by Christina Georgina Rossetti. I together with my friends have been viewing the good recommendations on your site and then all of a sudden I had an awful suspicion I had not expressed respect to the site owner for those techniques. Those boys were definitely totally happy to see all of them and have clearly been taking pleasure in these things. Thanks for truly being indeed accommodating and then for having such incredibly good tips most people are really wanting to learn about. My sincere regret for not saying thanks to earlier. I have to express some thanks to this writer just for bailing me out of such a condition. Just after searching throughout the internet and getting tricks which were not powerful, I assumed my life was gone. Existing devoid of the solutions to the difficulties you’ve solved through this short post is a crucial case, and those which could have in a wrong way affected my career if I hadn’t discovered your web blog. Your main expertise and kindness in touching all things was useful. I am not sure what I would have done if I hadn’t come across such a point like this. I’m able to now look ahead to my future. Thanks for your time very much for your high quality and effective help. I won’t be reluctant to propose the blog to any individual who needs and wants guide on this area. I enjoy you because of every one of your effort on this site. My daughter loves working on internet research and it is easy to understand why. I notice all relating to the dynamic tactic you make invaluable techniques through your blog and in addition attract contribution from other ones on the content while our favorite princess is now being taught a great deal. Enjoy the rest of the new year. You’re conducting a remarkable job. of course like your web-site but you need to check the spelling on several of your posts. Many of them are rife with spelling issues and I find it very troublesome to tell the truth nevertheless I will surely come back again. This website is my intake, real fantastic design and perfect subject material. My spouse and i ended up being very thrilled that Raymond could carry out his studies because of the precious recommendations he acquired from your own blog. It’s not at all simplistic just to always be handing out methods that people today could have been trying to sell. And we also see we have got the website owner to thank for that. Those illustrations you have made, the easy site navigation, the friendships you make it easier to promote – it’s most impressive, and it is facilitating our son in addition to our family do think that subject matter is brilliant, which is unbelievably mandatory. Many thanks for all the pieces! I intended to draft you that little remark just to say thank you once again on your extraordinary views you’ve shown here. This is so wonderfully generous with people like you in giving openly what exactly many individuals would have marketed for an e book to generate some profit for their own end, especially now that you might have tried it in the event you desired. Those smart ideas likewise acted like the good way to be certain that the rest have the identical interest just like mine to find out good deal more with reference to this issue. I am sure there are numerous more enjoyable situations ahead for individuals who browse through your blog. My spouse and i felt really delighted that Louis managed to complete his web research using the ideas he gained out of the web site. It’s not at all simplistic just to happen to be giving for free strategies which often many people might have been selling. We take into account we have the blog owner to appreciate for that. All of the explanations you’ve made, the simple blog menu, the friendships you can help to create – it’s many astounding, and it’s really leading our son in addition to us do think the idea is brilliant, and that’s quite serious. Thank you for all! I precisely desired to thank you so much once more. I am not sure the things I could possibly have worked on in the absence of the suggestions provided by you concerning that industry. It was an absolute traumatic problem in my view, however , being able to view your well-written tactic you treated it forced me to cry for happiness. I will be happier for your service as well as trust you recognize what a great job that you’re undertaking educating many others by way of your web blog. More than likely you have never encountered all of us. We are a bunch of volunteers and starting a brand new scheme in our community. Your website offered us with helpful info to paintings on. You have performed a formidable activity and our entire community shall be grateful to you. I have to show thanks to the writer just for rescuing me from this type of problem. Right after looking out throughout the online world and obtaining notions which were not pleasant, I figured my entire life was over. Existing without the presence of approaches to the issues you have resolved through your short post is a serious case, and the ones that could have adversely affected my entire career if I had not noticed the website. Your actual ability and kindness in playing with every part was very useful. I am not sure what I would’ve done if I hadn’t come across such a thing like this. I can also at this point look ahead to my future. Thanks a lot so much for the professional and sensible help. I will not hesitate to propose your blog to anyone who would like recommendations on this matter. Enjoyed looking at this, very good stuff, regards. “Talk sense to a fool and he calls you foolish.” by Euripides. I must point out my admiration for your generosity supporting all those that really want help with that field. Your real commitment to getting the message all around appears to be extremely interesting and have usually enabled folks just like me to realize their aims. Your amazing warm and friendly tips and hints denotes a whole lot to me and additionally to my colleagues. Warm regards; from all of us. I was suggested this website through my cousin. I’m now not positive whether or not this post is written by way of him as no one else understand such specific approximately my difficulty. You’re wonderful! Thanks! After research a number of of the blog posts on your website now, and I actually like your approach of blogging. I bookmarked it to my bookmark web site checklist and will be checking again soon. Pls try my website online as effectively and let me know what you think. I simply desired to appreciate you yet again. I do not know the things I might have created without the entire hints discussed by you relating to such a field. It had become a challenging scenario in my position, however , understanding a specialised strategy you treated that forced me to cry with gladness. I am just happier for your assistance and even expect you comprehend what a powerful job you happen to be undertaking training people by way of a site. More than likely you’ve never met any of us. Aw, this was a really nice post. In thought I would like to put in writing like this additionally – taking time and precise effort to make a very good article… however what can I say… I procrastinate alot and by no means seem to get something done. I do like the manner in which you have framed this specific issue and it does give me personally a lot of fodder for thought. Nonetheless, coming from what I have witnessed, I really wish when other commentary stack on that people today remain on issue and don’t embark upon a tirade involving the news du jour. Still, thank you for this exceptional piece and whilst I do not agree with the idea in totality, I regard the perspective. I must express my gratitude for your kind-heartedness for folks that absolutely need assistance with this one concern. Your real dedication to passing the solution along turned out to be exceptionally valuable and have in most cases enabled professionals just like me to achieve their aims. Your personal valuable publication can mean a lot a person like me and further more to my fellow workers. Regards; from all of us. My wife and i ended up being very happy Ervin could do his investigation by way of the ideas he grabbed out of your blog. It’s not at all simplistic to just be freely giving tips and tricks which usually the others might have been selling. And now we take into account we now have the website owner to give thanks to because of that. All the explanations you have made, the simple site navigation, the relationships you will assist to create – it’s got all great, and it’s facilitating our son and us know that that content is enjoyable, which is certainly really essential. Many thanks for the whole thing! My husband and i have been quite thrilled when John could carry out his reports using the precious recommendations he discovered out of the site. It is now and again perplexing to just continually be giving away tips that many other people could have been making money from. And we also fully understand we now have the blog owner to thank for that. Most of the explanations you have made, the straightforward website navigation, the friendships you give support to create – it’s got mostly powerful, and it’s really letting our son in addition to us recognize that that subject is brilliant, which is truly serious. Thank you for everything! I used to be very pleased to search out this net-site.I needed to thanks on your time for this wonderful read!! I undoubtedly having fun with each little little bit of it and I have you bookmarked to check out new stuff you weblog post. Admiring the dedication you put into your website and detailed information you offer. It’s nice to come across a blog every once in a while that isn’t the same out of date rehashed material. Great read! I’ve bookmarked your site and I’m adding your RSS feeds to my Google account. I not to mention my pals have already been reviewing the excellent points on the website and immediately came up with an awful feeling I had not thanked the website owner for them. All of the men happened to be for this reason joyful to read through all of them and now have in reality been enjoying them. Appreciate your indeed being really helpful and for picking out some useful themes millions of individuals are really eager to be aware of. My personal honest regret for not expressing gratitude to you earlier. I’ve been exploring for a little for any high quality articles or blog posts on this kind of house . Exploring in Yahoo I finally stumbled upon this site. Studying this info So i am happy to show that I’ve a very good uncanny feeling I found out exactly what I needed. I such a lot for sure will make sure to do not omit this web site and give it a look regularly. I together with my pals appeared to be reading through the good strategies found on the website and then suddenly got a terrible feeling I had not thanked the site owner for them. Most of the ladies were consequently happy to read through all of them and already have extremely been making the most of these things. Thanks for being very helpful and also for settling on some amazing things most people are really wanting to discover. My personal honest apologies for not saying thanks to sooner. Sweet web site, super layout, very clean and utilize friendly. My husband and i have been quite joyful when Chris could do his analysis from the precious recommendations he made through your web pages. It is now and again perplexing to simply be making a gift of procedures which often the rest could have been trying to sell. So we remember we need the website owner to be grateful to for that. All the explanations you’ve made, the simple blog menu, the relationships you will give support to promote – it’s many fantastic, and it is assisting our son in addition to the family feel that this matter is fun, which is certainly pretty pressing. Thanks for all the pieces! Thanks for any other fantastic article. The place else may anyone get that kind of info in such an ideal method of writing? I have a presentation subsequent week, and I’m on the look for such information. In the awesome pattern of things you actually get an A+ just for hard work. Exactly where you actually confused me ended up being on all the particulars. As as the maxim goes, details make or break the argument.. And that could not be much more true in this article. Having said that, allow me say to you precisely what did deliver the results. Your article (parts of it) is actually quite convincing and this is possibly the reason why I am taking the effort to comment. I do not really make it a regular habit of doing that. 2nd, whilst I can notice a leaps in reasoning you make, I am not really sure of how you seem to unite your ideas which make your conclusion. For now I shall subscribe to your point but hope in the near future you link the facts much better. I’m just commenting to let you know what a beneficial discovery my cousin’s princess developed going through your web page. She figured out such a lot of pieces, which included what it’s like to have a marvelous coaching nature to let other individuals completely fully understand a number of complex topics. You really did more than our expected results. Thank you for imparting such invaluable, dependable, explanatory and as well as easy tips about your topic to Janet. Throughout this grand pattern of things you’ll get an A with regard to effort. Exactly where you misplaced us ended up being on your particulars. You know, people say, the devil is in the details… And it could not be more correct right here. Having said that, allow me tell you precisely what did do the job. Your text is actually quite persuasive and that is possibly why I am making an effort in order to comment. I do not make it a regular habit of doing that. Secondly, although I can notice a leaps in logic you come up with, I am not necessarily certain of just how you appear to connect the points which produce the actual conclusion. For right now I will, no doubt subscribe to your point but trust in the future you actually connect the facts better. Merely a smiling visitor here to share the love (:, btw great layout. “Better by far you should forget and smile than that you should remember and be sad.” by Christina Georgina Rossetti. Thank you so much for giving everyone a very pleasant possiblity to read critical reviews from this web site. It’s always so excellent and stuffed with a great time for me personally and my office acquaintances to search your site minimum thrice in 7 days to read the newest stuff you will have. Not to mention, we are always pleased with all the perfect ideas served by you. Certain 3 ideas in this post are really the finest we’ve ever had. I am also commenting to make you know what a great experience my princess developed visiting the blog. She learned a wide variety of pieces, which include what it’s like to possess a great giving mindset to let many more just know precisely chosen complicated issues. You undoubtedly did more than our own desires. Thanks for distributing the necessary, safe, revealing as well as easy tips on your topic to Sandra. Thanks for each of your efforts on this site. My mum delights in carrying out internet research and it’s really easy to see why. A lot of people notice all about the compelling mode you give good strategies via the blog and encourage contribution from other people on that concept plus our princess has been becoming educated a great deal. Enjoy the rest of the year. Your carrying out a wonderful job. My wife and i have been now fortunate when Chris managed to deal with his homework out of the precious recommendations he made out of the weblog. It’s not at all simplistic to just be releasing procedures that other folks have been selling. And we acknowledge we have got the writer to give thanks to because of that. The most important explanations you have made, the simple blog menu, the friendships you help to engender – it is mostly astonishing, and it’s aiding our son in addition to the family know that the content is cool, which is certainly extraordinarily important. Thanks for the whole thing! Very interesting points you have observed, regards for posting. “Opportunities are seldom labeled.” by John H. Shield. I together with my pals have been studying the best information and facts located on your web site and then came up with a terrible feeling I had not expressed respect to the blog owner for those strategies. All of the women happened to be excited to read through all of them and already have without a doubt been tapping into them. I appreciate you for being considerably kind as well as for considering certain excellent resources millions of individuals are really desperate to discover. Our sincere apologies for not expressing appreciation to earlier. Some truly wonderful content on this site, thank you for contribution. “The key to everything is patience. You get the chicken by hatching the egg, not by smashing it.” by Arnold Glasgow. Fantastic website. Lots of helpful information here. I’m sending it to a few pals ans also sharing in delicious. And naturally, thanks to your sweat! My husband and i ended up being joyous when Michael managed to deal with his homework through the ideas he received through your weblog. It is now and again perplexing to simply possibly be giving out information which a number of people have been selling. So we keep in mind we’ve got the website owner to thank for that. The entire illustrations you’ve made, the straightforward blog menu, the friendships your site make it easier to create – it is many awesome, and it is making our son and us reckon that that subject matter is enjoyable, and that is exceptionally essential. Thank you for all the pieces! Thanks a lot for giving everyone an extremely remarkable chance to read from this site. It’s always very nice and also packed with a good time for me personally and my office peers to search your site particularly three times in one week to find out the latest issues you will have. And lastly, I am certainly fascinated with your extraordinary tricks served by you. Some two facts in this article are in truth the most impressive we’ve had. Throughout the awesome pattern of things you’ll receive an A with regard to effort. Where you lost us was on the specifics. As people say, details make or break the argument.. And that couldn’t be much more true in this article. Having said that, let me say to you just what did work. Your writing is definitely quite engaging and this is possibly why I am making the effort in order to opine. I do not really make it a regular habit of doing that. Next, even though I can easily notice a leaps in reason you make, I am definitely not certain of exactly how you appear to connect your ideas which in turn help to make your conclusion. For the moment I will subscribe to your point however hope in the near future you actually link the dots much better. My wife and i were quite relieved when John could finish off his investigation by way of the ideas he had from your own web site. It is now and again perplexing to simply choose to be offering thoughts which some others could have been trying to sell. We do know we have got the website owner to give thanks to for that. All the explanations you have made, the simple blog navigation, the friendships you make it possible to create – it is everything fantastic, and it’s leading our son and us reckon that that matter is thrilling, which is certainly really pressing. Thanks for the whole lot! Some genuinely excellent blog posts on this site, appreciate it for contribution. “It is not often that someone comes along who is a true friend and a good writer.” by E. B. White. Hello there, I discovered your site by way of Google whilst looking for a related subject, your website came up, it appears to be like great. I’ve bookmarked it in my google bookmarks. Some genuinely good info , Glad I found this. “Now hatred is by far the longest pleasure men love in haste but they detest at leisure.” by George Gordon Byron. Youre so cool! I dont suppose Ive learn something like this before. So nice to find any individual with some unique ideas on this subject. realy thanks for starting this up. this web site is something that is wanted on the net, someone with just a little originality. useful job for bringing one thing new to the web! I simply wanted to construct a quick comment so as to thank you for all the precious items you are posting on this website. My considerable internet research has now been rewarded with really good suggestions to write about with my family and friends. I would suppose that many of us visitors are definitely endowed to live in a very good place with very many brilliant people with very helpful guidelines. I feel quite fortunate to have discovered your entire web site and look forward to so many more brilliant minutes reading here. Thanks again for everything. I want to get across my passion for your kind-heartedness giving support to those people who must have help with your idea. Your special dedication to passing the message all around came to be extremely beneficial and have surely helped women just like me to realize their targets. Your entire warm and friendly guidelines indicates much to me and a whole lot more to my office colleagues. Warm regards; from all of us. Thank you a lot for giving everyone an exceptionally remarkable opportunity to discover important secrets from this blog. It is usually very brilliant and also full of a lot of fun for me and my office peers to search your site not less than thrice in a week to see the new tips you will have. And indeed, I’m always contented for the staggering tips and hints served by you. Some 2 facts in this post are basically the most beneficial we have all ever had. I wish to voice my gratitude for your kind-heartedness supporting those who actually need guidance on that concern. Your very own commitment to passing the message around became exceedingly beneficial and has in every case empowered men and women just like me to achieve their desired goals. Your new important facts signifies a whole lot to me and extremely more to my colleagues. Thanks a lot; from everyone of us. I truly wanted to construct a small note to be able to thank you for some of the great information you are giving on this site. My long internet research has at the end of the day been paid with brilliant details to go over with my friends and classmates. I would state that that we site visitors are extremely fortunate to exist in a wonderful website with very many awesome individuals with great pointers. I feel really happy to have used the web site and look forward to so many more enjoyable minutes reading here. Thanks once again for everything. Do you mind if I quote a few of your articles as long as I provide credit and sources back to your website? My website is in the exact same area of interest as yours and my visitors would genuinely benefit from a lot of the information you provide here. Please let me know if this okay with you. Regards! I precisely had to appreciate you once again. I’m not certain the things that I would’ve carried out in the absence of the entire methods discussed by you on that concern. It became a real troublesome issue for me personally, nevertheless witnessing the expert style you dealt with it forced me to jump with delight. I’m happier for this work and as well , sincerely hope you know what a great job that you are getting into instructing the others through your site. Most probably you have never got to know any of us. My wife and i ended up being absolutely delighted that Jordan managed to finish off his researching because of the ideas he obtained using your web site. It is now and again perplexing to just happen to be giving freely steps that many a number of people may have been trying to sell. Therefore we acknowledge we have the blog owner to appreciate because of that. Those illustrations you have made, the easy web site navigation, the friendships you can help instill – it’s got most extraordinary, and it’s leading our son in addition to our family understand the content is excellent, which is certainly very mandatory. Thanks for all! Hiya! Quick question that’s totally off topic. Do you know how to make your site mobile friendly? My web site looks weird when viewing from my iphone. I’m trying to find a theme or plugin that might be able to fix this problem. If you have any recommendations, please share. Thanks! My spouse and i ended up being very peaceful Michael could round up his basic research from your precious recommendations he came across through the weblog. It is now and again perplexing to just always be freely giving strategies which usually a number of people might have been selling. So we realize we now have the website owner to be grateful to because of that. The type of explanations you made, the easy blog navigation, the friendships your site give support to instill – it’s got mostly astonishing, and it’s assisting our son and our family reason why this theme is interesting, which is truly important. Thanks for all! Hiya, I’m really glad I’ve found this information. Nowadays bloggers publish just about gossips and internet and this is actually irritating. A good website with interesting content, this is what I need. Thanks for keeping this web-site, I will be visiting it. Do you do newsletters? Can’t find it. I am commenting to make you be aware of what a notable discovery my cousin’s child had viewing the blog. She even learned some issues, which included what it is like to possess a very effective giving mood to get many others smoothly fully understand a number of impossible things. You undoubtedly surpassed visitors’ desires. Thanks for presenting the powerful, healthy, informative and even cool tips about the topic to Mary. Can I just say what a aid to find somebody who actually knows what theyre speaking about on the internet. You undoubtedly know the way to bring an issue to light and make it important. More individuals need to learn this and perceive this aspect of the story. I cant consider youre not more standard since you positively have the gift. I’m just commenting to make you know what a cool encounter our child went through viewing your site. She even learned many things, most notably what it’s like to possess a great teaching nature to let many people really easily completely grasp various grueling issues. You undoubtedly exceeded visitors’ expectations. I appreciate you for producing such insightful, safe, explanatory not to mention easy tips on this topic to Jane. I?¦m not positive where you’re getting your information, however good topic. I must spend some time studying more or understanding more. Thank you for great information I was in search of this information for my mission. Great web site. Plenty of helpful information here. I?¦m sending it to a few buddies ans additionally sharing in delicious. And certainly, thanks on your effort! Howdy! Quick question that’s entirely off topic. Do you know how to make your site mobile friendly? My website looks weird when viewing from my apple iphone. I’m trying to find a theme or plugin that might be able to resolve this problem. If you have any recommendations, please share. Thank you! This site is really a walk-by for all the information you wished about this and didn’t know who to ask. Glimpse here, and you’ll definitely discover it. Hello my family member! I wish to say that this post is amazing, nice written and come with almost all important infos. I¦d like to peer extra posts like this . Utterly indited written content, appreciate it for selective information. “Life is God’s novel. Let him write it.” by Isaac Bashevis Singer. I was just searching for this info for a while. After six hours of continuous Googleing, at last I got it in your web site. I wonder what is the lack of Google strategy that do not rank this kind of informative sites in top of the list. Usually the top sites are full of garbage. You have observed very interesting points! ps decent internet site. “The world is dying for want, not of good preaching, but of good hearing.” by George Dana Boardman. Hey There. I found your blog the usage of msn. That is a really neatly written article. I will make sure to bookmark it and return to read more of your useful info. Thanks for the post. I will definitely comeback. A lot of thanks for all of your work on this website. My aunt delights in participating in internet research and it is simple to grasp why. We all learn all of the dynamic mode you provide useful tips and tricks by means of this website and in addition recommend participation from other individuals about this matter plus our own simple princess is being taught so much. Take pleasure in the rest of the new year. You’re carrying out a tremendous job. Good ?V I should definitely pronounce, impressed with your site. I had no trouble navigating through all the tabs as well as related information ended up being truly easy to do to access. I recently found what I hoped for before you know it in the least. Quite unusual. Is likely to appreciate it for those who add forums or anything, web site theme . a tones way for your customer to communicate. Nice task..
Hi my friend! I want to say that this post is awesome, great written and come with approximately all important infos. I?¦d like to see more posts like this . I have been surfing on-line greater than three hours today, but I by no means found any attention-grabbing article like yours. It is pretty price sufficient for me. In my opinion, if all web owners and bloggers made excellent content material as you did, the internet will probably be a lot more useful than ever before. Rattling instructive and good structure of subject matter, now that’s user genial (:. Wonderful goods from you, man. I have understand your stuff previous to and you are just extremely fantastic. I really like what you have acquired here, really like what you are saying and the way in which you say it. You make it entertaining and you still take care of to keep it wise. I can’t wait to read far more from you. This is actually a tremendous site. Do you mind if I quote a few of your articles as long as I provide credit and sources back to your website? My blog site is in the very same area of interest as yours and my visitors would truly benefit from some of the information you present here. Please let me know if this alright with you. Thanks a lot! You could certainly see your enthusiasm in the work you write. The arena hopes for even more passionate writers such as you who aren’t afraid to mention how they believe. At all times follow your heart. I do believe all the ideas you have offered for your post. They’re very convincing and can certainly work. Still, the posts are too brief for beginners. May just you please extend them a little from subsequent time? Thanks for the post. Hey there, I think your site might be having browser compatibility issues. When I look at your blog site in Ie, it looks fine but when opening in Internet Explorer, it has some overlapping. I just wanted to give you a quick heads up! Other then that, awesome blog! I used to be suggested this website by way of my cousin. I’m not positive whether or not this submit is written by means of him as no one else recognise such designated approximately my difficulty. You are amazing! Thanks!